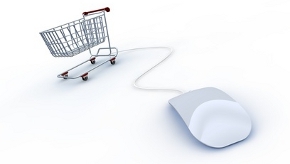 WILDE BEUGER SOLMECKE is your partner when it comes to your online shop. You can benefit from our years of experience in the area of internet law and the law of e-commerce. We have a presence across Germany and can advise you regardless of the size of your business or project. Contact our specialist German lawyer Kilian Kost on +49 (0) 221 / 951 563 0 or send us an e-mail at info@wbs-law.de. for a free initial assessment. When setting up and running your own website, or creating a profile on eBay or Amazon a number of regulations apply. As well as traditional “general conditions” and “real world” regulations there are also specific regulations for trading on the internet and e-commerce regulations which apply. Ensuring compliance with all these regulations is a difficult task. A simple error in the legal notice on your homepage or incorrect notice of rights to cancel can lead to a warning letter requiring you to submit a declaration to cease and desist and to pay compensation. Just such problems have meant that many good business ideas have been stopped in their tracks.